If you’re visiting Chicago, you’ll want to make the most of your visit. There’s plenty of action in this great, big city, and many attractions you’ll want to check off on your bucket list. And while it’s impossible to tackle everything in one visit (luckily, you can always come back! ), it’s a good idea to prioritize the hotspots you need to see during your travels. New York Time’s travel section think that these are some of the best things to do in Chicago when you only have 36 hours to spend. Chicago has a fantastic art and design culture, and there are wonderful exhibits at museums throughout the city, including the Museum of Contemporary Art. Make sure to visit current exhibits like Groundings, A Body Measured Against the Earth, West by Midwest, and more. Also, stay up-to-date on the calendar to see what’s coming next. In addition to exhibits, you can do gallery tours, where you can get a feel for the space and theme. 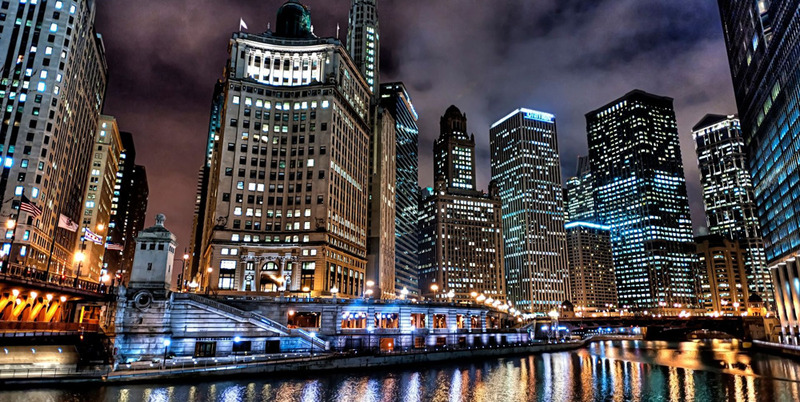 Chicago is known for its tremendous comedic talent, and you can’t go wrong with securing tickets to a comedy show at Second City or the iO Theater during your 36-hour stay. At iO Theater, there’s a variety of performances to choose from, both for student and featured shows, and there’s a beer garden, food, and two full bars on site to make your experience that much more enjoyable. Second City also offers several performances and terrific dining at 1959 Kitchen & Bar, as well. If you’re a history buff and want to check out a museum, but you also really, really want to do some shopping in the big city, you don’t need to worry, as you can do both at once. Head to the store Architectural Artifacts to browse over 80,000 square footage of incredible antique pieces, marked at competitive prices, where you can learn more about the distinct origins and cultures and do some shopping yourself. It’s a great way to experience something totally new and eclectic during your 36 hours in Chicago. If you love literature, you’ll want to spend a few of your precious hours at the American Writer’s Museum, which offers exhibits that take a deep dive into the history and works of both past and present great American writers. It’s a wonderful way to become inspired through words, fall in love with new writers you haven’t experienced before, and do some reflective thinking on the messages the pieces portray. Right now you can look at Bob Dylan: Electric and The Mind of a Writer, among others.